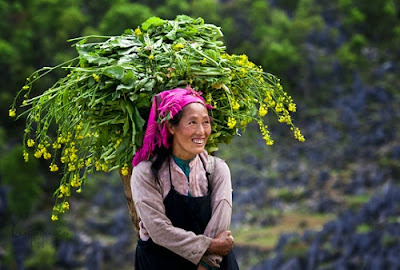 Sapa is not only famous for its natural beauty and landscapes, cool and fresh air, Sapa is best known for specialties. Sapa cuisine mirrors the country’s cultural and ethnic diversity. Its main characteristic is the systematic use of fresh, light products, mainly tropical or temperate fruit and vegetables. 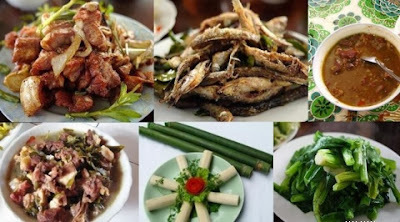 It offers a wide variety of foods ranging from meats, crustaceans and fish to delicious vegetarian specialties accompanied with all sorts of vegetables, herbs, spices and sauces. 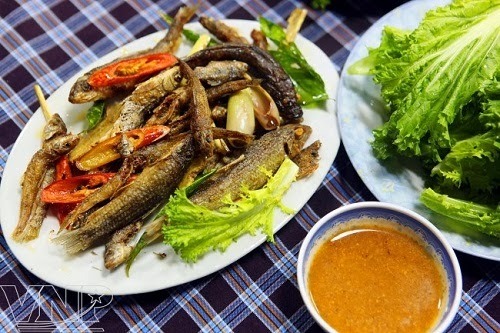 In this article, Vietwind travel will induce you some specialties which you shouldn’t miss if you come to Sapa. 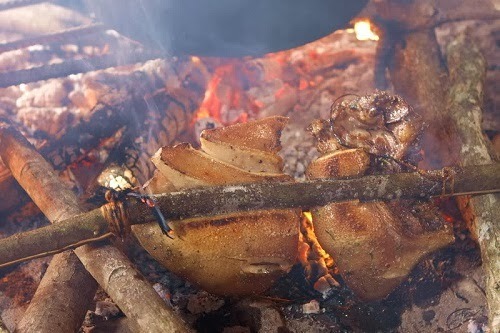 Going anywhere in Sapa, you are also invited to buy field mushroom- a specialties of Sapa’ mountains and forests.At any restaurants in Sapa, you can easily enjoy this kind of food. After soaking in water, these field mushrooms still keep the taste of mountainous land and flavor of forest trees. Steamed glutinous rice with seven colors is called “xoi bay mau” in Vietnam; it is a traditional dish in festivals of Nung Din ethnic in Muong Khuong province (Lao Cai). This dish has seven colors such as pink, vermilion, scarlet, bright green, yellow green, banana leaf green and yellow and especially these colors is made from natural tree so you can totally feel secure when eating it. On the first of July every year, Nung Din people usually hold festival to celebrate a victory. 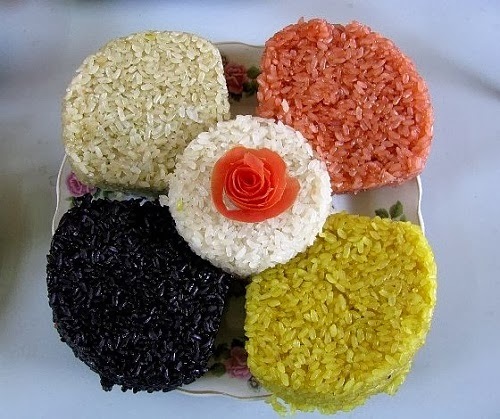 In the festival, steamed glutinous rice with seven colors is always displayed as an indispensable food. 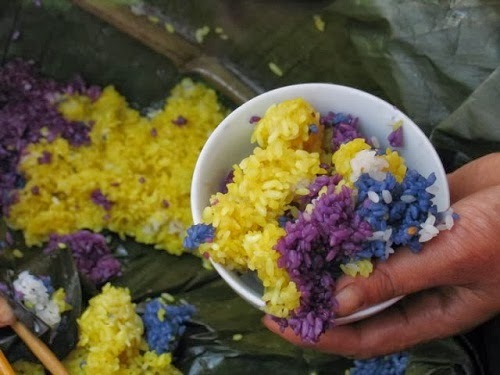 Moreover, in the concept of Nung Nin people, eating the steamed glutinous rice with seven colors will get lucky and good things. This dish is the pride of Nung Din women because it expresses their ingenuity and skill. 3. Carried under arm pig”-”lợn cắp nách”. 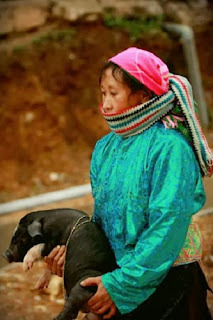 the image of local people tucking their pigs under their arms as they bring them to the market for sale. Its meat can be steamed, boiled, baked, stewed, and the taste is very delicious. 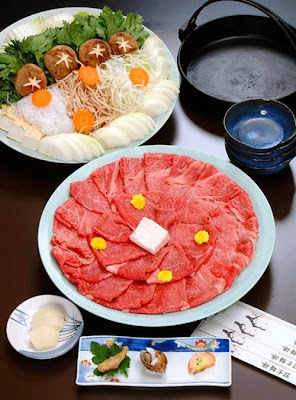 This kind of food is so well-known that many luxury restaurants use it for their big parties or many people use it in their meeting occasions at the end of year or on holidays. Sapa specialties such as white and green cauliflower, red beetroot, and chayote squash thrive in Sapa’s temperate climate. Tens of thousands of Sapa’s chayotes are distributed nationwide each year. 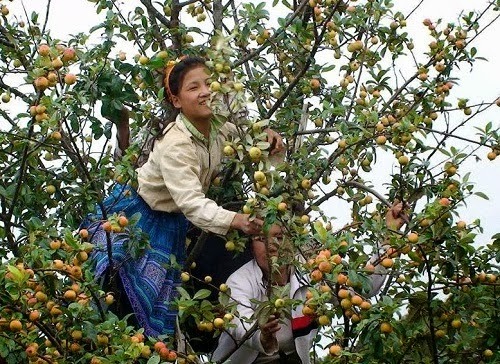 more delicate and most tasty varieties are only available in the markets of Sapa. One example of this is “ngong”, the local word for the budded stems of old and stunted vegetables. There are many kinds of ngong, such as the stems of garlic, cabbage, kohlrabi, and chayote. Ngong is best served fried with garlic or various kinds of meat. fish, because they are residents of the areas mountainous streams or brooks. Brook fish are various in types from white fattened-body fish such as ditch fish, goby to the fish whose color is mixed between black and stone moss color. Sapa brook fish are usually not big, just equal to an adult finger, or a knife handle as the biggest. The most special secret is that these brook fish has no fishy flavor. 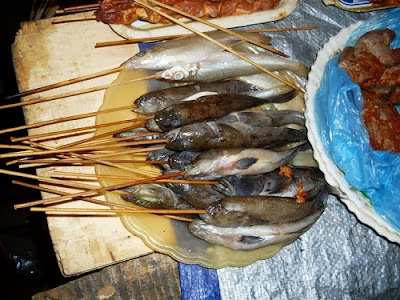 Once catched, fish are often grilled on coal immediately at the stream in order to store or bring to restaurants in town for sale. After being grilled, fish’s head, tail and fins are very crisp while the fish’s round body still maintains the fiber muscles-unique characteristics only for such mountainous species. Cat apple tree grows wild very much on the Hoang Lien Son mountain range in Sapa Vietnam. People soaked cat apple into a kind of brown liquor and sweet aromatic characteristics. This alcohol is rural but original. It is made from a kind of apple (cat apple) which only grows in forests where are sunny, windy. Therefore, this apple absorbs tastes of sky, taste of land, taste of mountains; and it contains four tastes sour, sweet, bitter, acrid. Cat drinking cider initially felt like drinking carbonated soft drinks, but more and more taking ecstasy. Thang Co is created by Hmong people in Vietnam, Someone tried to explain the word by Chinese-Vietnamese pronunciation - Thang Co means soup of bones.The dish is traditionally made from horse meat, including almost all the offal such as intestines, liver, and kidneys, but beef and pork may also be used.The meat and offal are cut into small pieces and mixed with special spices that are popular with the Mong people. Then all the ingredients are poured in a big pot of water and simmered over a fire for a long time. "Lam" rice (or Bamboo Cooked Rice) is a typical dish of ethnic minorities in mountainous area of Northern Vietnam. Originally, “lam” rice was invented as a kind of food for long journey in the forests. Upon the journey, Vietnamese ethnic people can cook rice in a bamboo pipe instead of a pot. By the time passed, “lam” rice has become popular, and is preferred as impressive blend of rice, stream water and slight scent of bamboo. “Lam” rice is made from sticky rice which is grown on the hills. 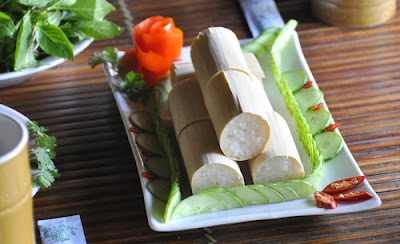 Sticky rice is put in a bamboo pipe and added some water. 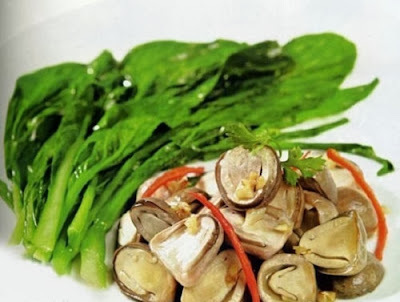 For more delicious taste, ethnic people usually use stream water and add some salt in. The bamboo pipe then will be sealed up by banana leaves and roasted above red coals or hot fire. That process will be done within about 30 minutes.“Lam” rice is served with grilled chicken or grilled Man pork. Some sesame and salt are indispensible while eating this dish. 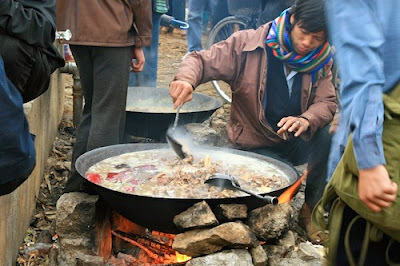 Let try fine and hot “lam” rice in cold weather of Sapa once in your life! Such fish which live only in cold regions like America or Europe have been imported but only successfully adopted in Sapa. With bold taste, pretty pink meat, high nutritional ingredients, salmon is one of the most luxurious dishes for tourists coming to Sapa - Lao Cai. Sometimes, salmon is not only delicious by its taste, but also attractive by the thought and curiosity of tasting it once. With a cool climate all year round and a cold winter even with snow covers, Sapa salmon is blessed to have flesh meat, firm muscles and no grease which is suitable for processing many different dishes. The most prominent are salmon hot pots, salmon salads and grilled salmon ... 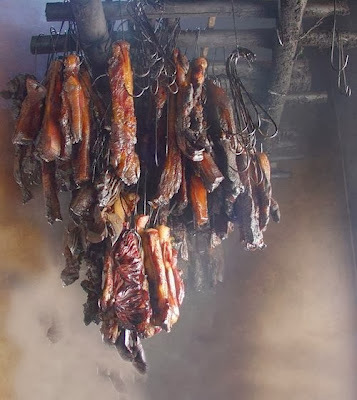 In the cold of Sapa, with a cup of wild cat apple wine, enjoying a full-of-smoke salmon hot pot together with early-foggy-covered wild vegetables will be surely an unforgettable moment for visitors.